Beauty is power, said a wise man once. Wish to read more about how inner beauty and outer beauty are complimentary to each other and what the famous personalities had to say about beauty and appearances playing a pivotal role in today’s day to day life, along with the pleasures of beautiful photography? 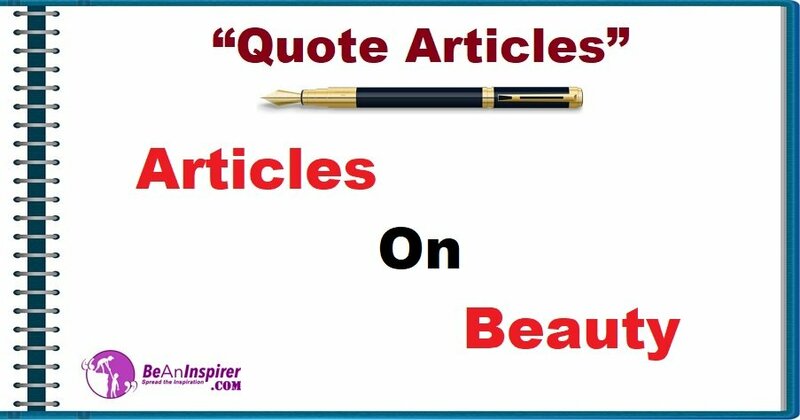 Check out our Quote Articles section to see Articles on Beauty.